Before you read this lengthy post i warn you it is boring and not really useful but just some time pass. The fall in Gitanjali Gems has become a big talking point in the market of late with the stock falling from 600 to 130 and can fall much much more also ( Its not a buying advise ) . After a good rally in 2006-2008 post listing the stock fell 90% all the way to 30 bucks from highs of 430-450. Is the history repeating itself and stock going to 60 ? Lot of market rumours about some big Bombay based bull being stuck in benami accounts, promoters pledge being invoked , promoter greed and etc etc. The recent recast of loans for Winsome Diamonsds ( earlier Su-Raj Diamonds ) 4000 crores loan recast creates much more doubts. it shows how the promoter kept buying the shares from open market. In the last 1 year itself the holding has almost gone from 54-55% to 59.5% which is almost 50 lakh shares or even more ( have not calculated ) but huge acquistion q-o-q for last 3-4 years. Import duty being hiked to 8% and RBI norms lead to a steep fall in Titan in 3 days but for the same period we did not see Gitanjali falling. Manipulation to keep the stock floating even in such scenarios. Somebody from the management did speak to CNBC on 25 June after two 20% down circuits giving clarifications but could not stop the stock. Supposedly 1/3rd of the promoter holding was pledged and finally Macquaire invoked pledges close to 5.43% of equity ( they did hold another 2.8% as per March 2013 ). 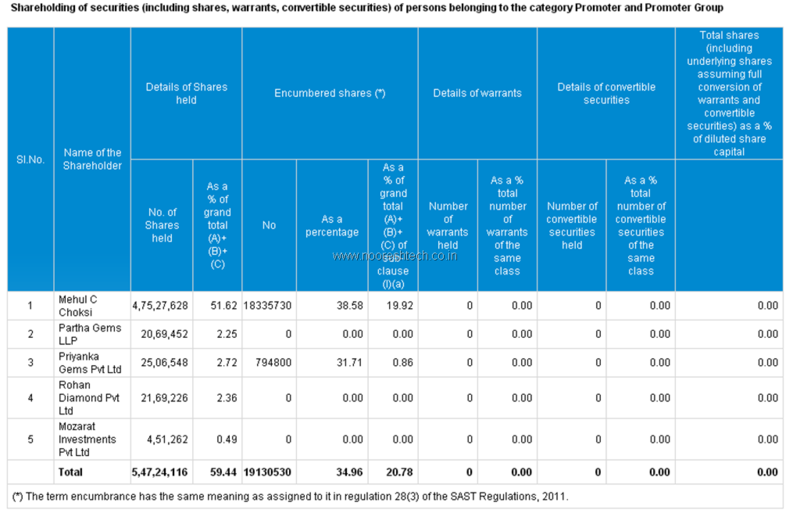 For now there are around 1 cr shares seen every day implying 10-11 % of shareholding wanting an exit. Could be more also. If all this was not enough the next biggest shareholder after the promoters seems to be LIC with 4.36% . In the last 3 quarters the holding of LIC has gone up from 0 to 4.36% or around 40 lakh shares. 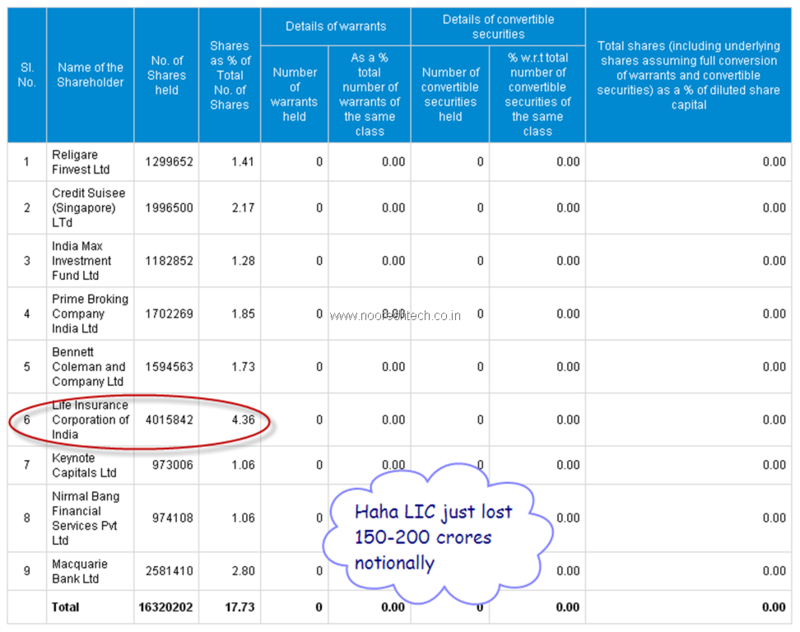 That implies a notional loss of 150-200 crores for LIC. ( LIC also saw such a change in Core Education just before the drop ). 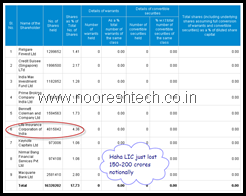 I doubt LIC acquired the shares from open market ( if it did then its sad ) but seems like conversion of some debentures which were issues in 2009 and had end date in June 2014. As per the annual report of 2008-2009. On 22nd June, 2009, the company issued 12% secured redeemable non convertible debentures of Rs. 1,250 Million to LIC of India. The tenure of the debentures is five years (maturity date: 21st June, 2014) and are redeemable in eight equal quarterly installments with initial moratorium of three years. The said debentures are secured by first pari passu charge over certain immoveable properties in Hyderabad (A.P.) belonging to one of the wholly owned subsidiary. During the year, the company has transferred Rs. 250 million to Debenture Redemption Reserve (DRR) and cumulative balance in DRR account is Rs. 750 million. The first installment of Rs.156.25 million is due for payment in Sept, 2012. Need to read more on this part of the LIC transaction in Gitanjali. Because LIC sitting on such a huge loss in Gitanjali and Core does not give a good feeling. Gitanjali at current market cap of 1200 crores is now available at a P-E of 2 and price to sales of 0.07 and the numbers just keep getting exciting with it losing 5% of value everyday. 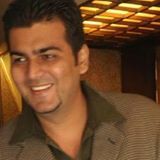 To add to it the company says the Brand Value of Gitanjali brands is 5500 crores as per September 2011. The corporate presentation of Gitanjali clearly shows the global presence of the brands it owns. But all said and done whenever there is a governance issue the market kills the stock 🙂 and Manipulation of stock prices leads to sever calamities. Now what can happen to Gitanjali Gems. 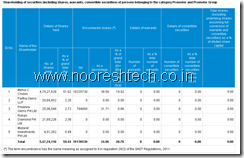 As the ticker shows there is around 1 cr shares to be sold ( pledged promoter quantity seems to match) , there could be another 50 lakhs to 1 cr odd shares out of the 1.6 cr holding in public as shown above ( considering the fact Benett Coleman and LIC wont be selling and some more benami holding ). So whenever the stock sees a delivery volume of around 1-2 cr shares getting over in a few days the stock can stabilize and give a jump. This can happen at 60 or at 100 or 130 god only knows but will be seen on the screen. The stock may bounce a good 30-50-100 % after such a deal. This would be an interesting stock to watchout for. Wont be advising to clients to take a position into the stock but watch for an intra day punt ( with system stoplosses) or extremely small punt whenever the 1-2 cr shares delivery is marked. Will cover some more such manipulations when time permits.